Chanting simply means singing repetitively a sacred text or words in the name of God in rhythmic sound. It is commonly used in spiritual practice in all cultures and is considered to be a route to spiritual development. 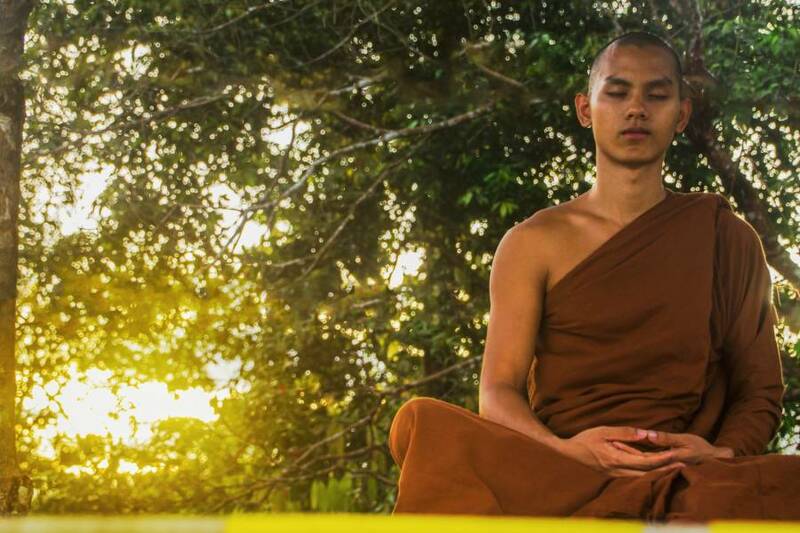 Chanting is a method of cultivating mindfulness, a tool for helping you wake up. It activates the energies within the self and calms our emotions. It is very helpful in doing meditation in a better way. Vibrations of chant produce positive energy and keep us healthy. Chanting mantras with devotion will align the energy field of consciousness with the Divine. Here are some of the benefits of chanting mantras on body, mind and soul. Chanting mantra brings prosperity, health, peace, love, harmony, joy, wisdom, truth, self-realization. Chanting of mantra provokes curative effect in us. In a research done at Cleveland University USA, it is proved that the rhythmic tones produced during chanting create a melodious effect on the body and mind called Neuro-linguistic effect (NLE). We understand the meaning of mantra we are reciting, which creates a Psycholinguistic effect (PLE) on the body. Due to NLE and PLE effects, body produces a curative chemicals in the brain. Chanting helps to uplift the spirit and produces positive energy thus enhancing our overall health. Chanting is the easiest way to make spiritual development and helps us to realize enlightenment. Alfred A. Thomas, Doctorate in Medicine from Paris School of Medicine found that chanting sounds have therapeutic effect on the body. Chanting calms the bodily system and activates the body’s natural process. It also helps in getting rid of addictions like smoking, alcohol and drugs. Dr. Watkins, a senior lecturer in neuroscience at Imperial College London, in the recently carried out research demonstrated that musical structure of chanting can have a significant and positive physiological impact. The chants are said to reduce stress levels, lower blood pressure, increase performance hormones level as well as reduce anxiety and depression. Dr Alan Watkins also confirmed that when we chant, the vibration of the sound calms the nervous system. It also reduces stress and increases memory power. Chanting helps in eliminating negative thoughts. Marian Diamond, a professor of Anatomy at the University of California, Berkeley also confirms that chanting helps in increasing immune system. OM Mantra – Why should we Chant this Powerful Mantra?